Read the whole thing. It's worth your time. For the Cliff's Notes version of Gosnell's criminal enterprise, watch the incredible documentary film 3801 Lancaster (it's free). In addition, Operation Rescue has regular updates from the courtroom; more revelations are coming forward every day. Students for Life of America recommends the Twitter hashtag #Gosnell. 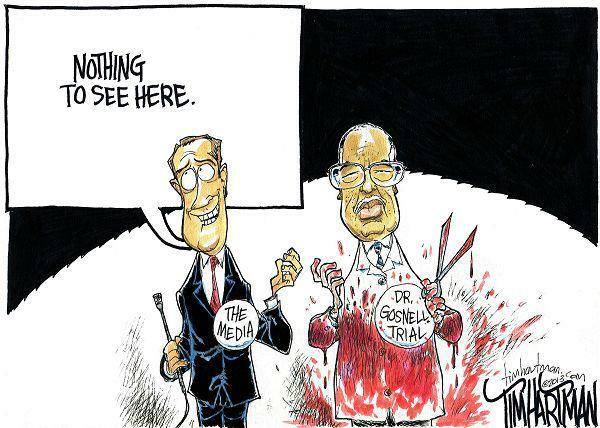 This can be as simple as tweeting your preferred media outlet to ask: "Who is Kermit #Gosnell?" Or, you can tweet a link to the USA Today story, 3801 Lancaster, etc. Whatever form it takes, make sure your voice is heard. If we don't get this story out, it appears that no one else will. I am thankful for radio talk show host Mark Levin for having brought attention to this horrific story. If you ever had any doubt about Liberal media bias, the complete ignorance of THIS story should leave no doubt in your mind.